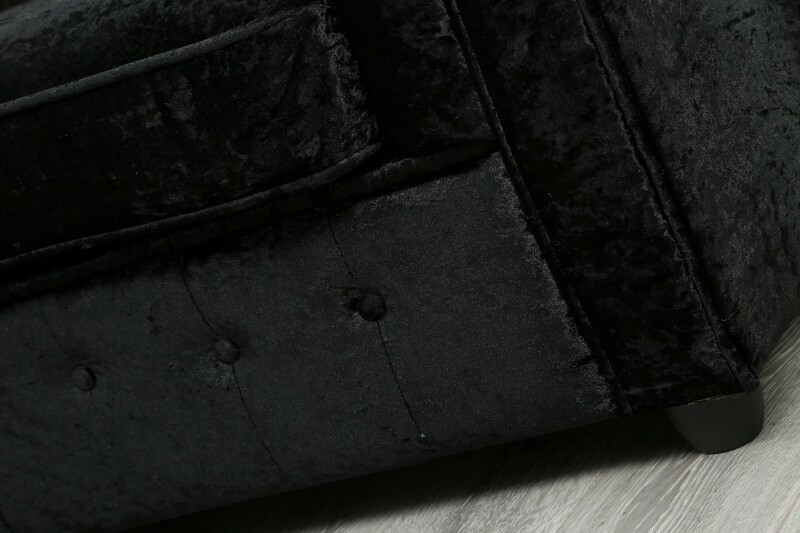 The Empire crushed velvet sofa bed collection will combine class and elegance with chic glamour. Featuring rolled back and arms with deep button studs. 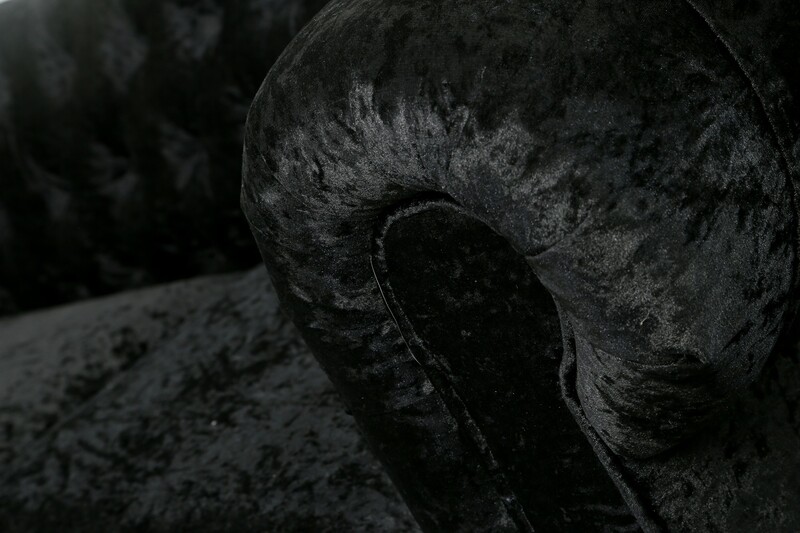 Upholstered in sumptuous crushed velvet, which is both durable and hard wearing. 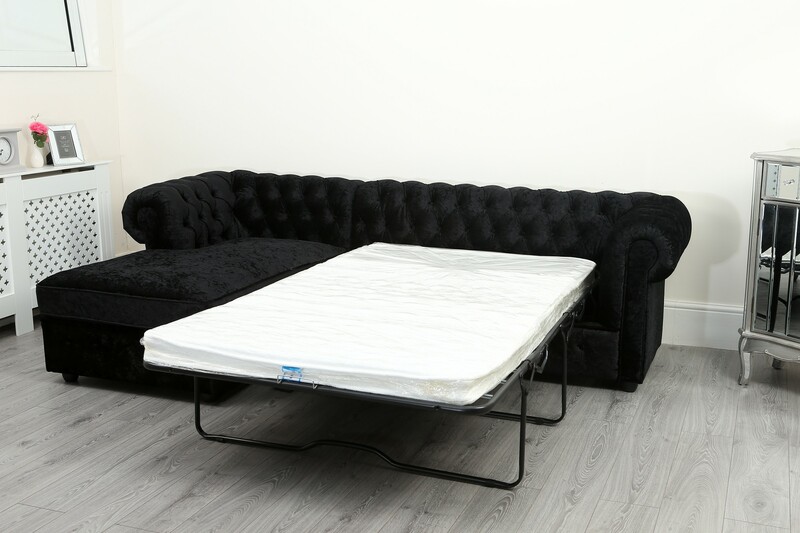 The luscious feel against your skin and with the deep foam filled padding for great comfort. 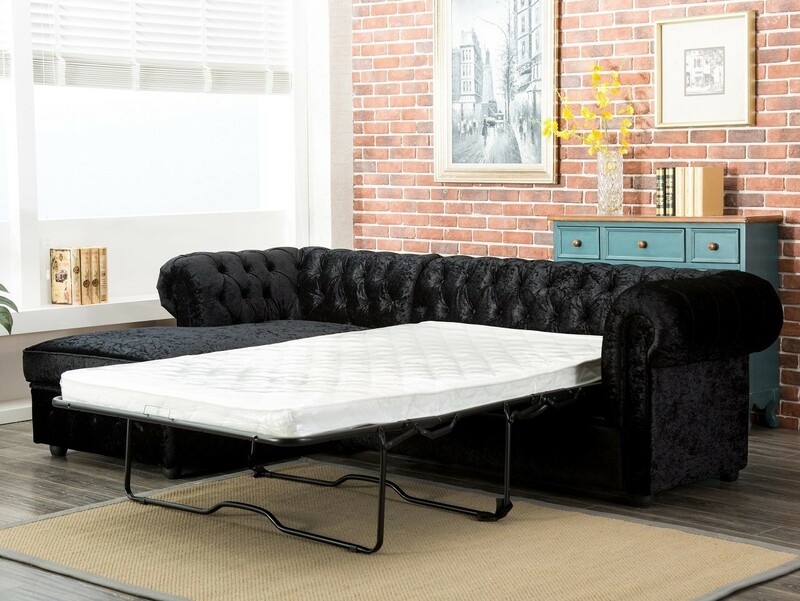 The corner sofa can easily be turned in to a sofa bed with the robust metal action pull out bed section. 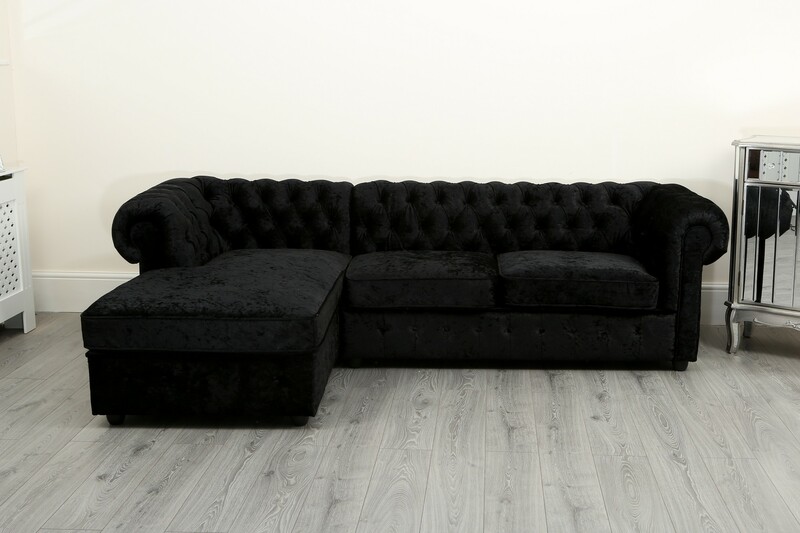 Perfect for cuddling up watching the television or to use as an occasional guest bed. Don’t compromise on quality or safety. We hold certificates that prove our products have been tested and legally comply with this law. Always check this is the case with other retailers before purchasing, or your product may be illegal. Our standard UK delivery is included which is based on a next day service after dispatch (excluding Scotland and Ireland – surcharges apply see below). Please note: This is a curb side Delivery, please inspect the box on arrival. If any Visible signs of damage please write this on the acceptance slip to the driver. Any Post Codes found below, delivery will include an extra postage charge; NORTHERN IRELAND Northern Ireland Postcodes: BT SCOTTISH HIGHLANDS and OFFSHORE ISLANDS Scottish Highlands and Offshore Islands, Postcodes: IM, IV, HS, KA27-28, KW, PA20-49, PA60-78, PH17-26, PH30-44, PH49-50, ZE SCILLY ISLES Scilly Isles Postcodes: TR21-25 CHANNEL ISLANDS Channel Islands. If you are not satisfied with your order - send it back within 30 days after the day of purchase!